OLMAR’s nitrogen tanks offer a tailor-made solution for all types of industries, being specially designed for large-scale industrial facilities. 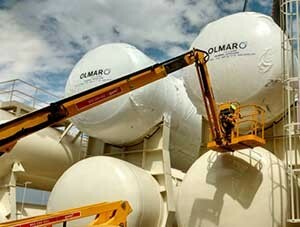 The extensive experience of OLMAR in manufacturing pressure equipment since 1945, allows the company to face the construction of large tanks with ease. 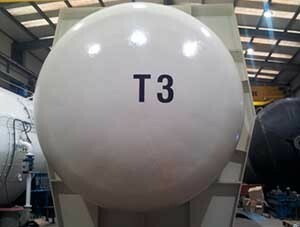 These tanks may be installed individually or form module sets to optimise the space available as much as possible, offering great flexibility and adjustment, which are becoming increasingly sought-after features in these types of facilities. In addition to manufacturing nitrogen tanks , OLMAR also offers its clients the possibility of integrating this equipment with other elements such as boosters, compressors, etc. forming stand-alone systems capable of completing nitrogen generation and/or recovery processes according to the needs of each industry. The engineering, design, manufacturing and software department at OLMAR combine efforts to offer comprehensive solutions to clients all over the world, both national and international. As a complement to these facilities, the OLMAR OC control system permits controlling and managing the operation of all the elements participating in each plant, offering the best performance and assuring optimum results in each cycle. 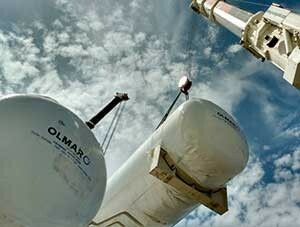 This way, OLMAR is present in all the development phases: from the initial design of the nitrogen tanks to their manufacturing, the implementation of the control software, and their transport and installation at the end location, which ensures total technical coverage throughout the entire project.